Build your connected life. 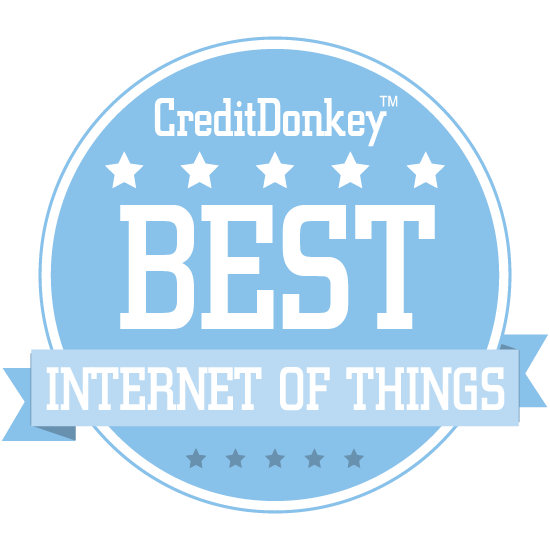 Winners of the CreditDonkey Best Internet of Things award have been announced. Almost everything is being connected to the internet. These connected products – called Internet of Things (IoT) – help us do things faster and offer important insights. At CreditDonkey, we’re about helping you grow your money wisely. There are many IoT products out there promising the world, but not all are useful. Read this list for the very best IoT products. ClearBlade is an industrial IoT platform that can be used to build scalable, secure enterprise IoT solutions anywhere. Why ClearBlade is a Top Internet of Things Innovator: With integrated security, machine learning, device and user management, data streaming, and more, it has all the features you would expect of a high-grade IoT platform. It has unparalleled speed-to-market, and its ability to cut down on the risk and cost of building your own system from the ground up can make it easy to get IoT off the ground for your company. They are focused on IoT solutions leveraging gateways and edge computing devices with the ClearBlade Edge Platform. 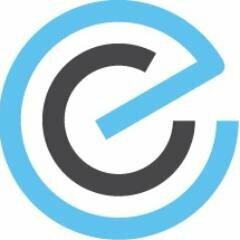 The ClearBlade Edge Platform can run regardless and independent of an internet connection and provides our enterprise customers with an unrivaled level of resiliency and availability for IoT solutions and applications. Electric Cloud enables business to receive continuous, cloud-based software delivery, bringing products to market faster and at lower costs. CEO Carmine J. Napolitano has over 25 years of management experience at both public and private companies, including Computer Access Technologies, Paradata, and Wavefront Technologies. Why Electric Cloud is a Top Internet of Things Innovator: It lets software companies turn release days into a competitive advantage with features like release automation and CI acceleration. With ElectricFlow, their DevOps release automation program, developers can automate and track deployment and coordinate releases on one simple platform. 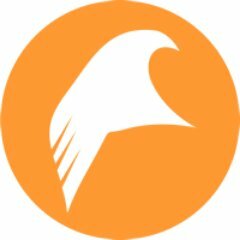 Filament provides blockchain native hardware and software built to power a secure industrial Internet of Things. Why Filament is a Top Internet of Things Innovator: Filament’s new software and Blocklet Chip solutions enable devices to securely interact with and transact against a blockchain. The Blocklet Chip will allow industrial corporations and enterprises to seamlessly extract the value of recording and monetizing data assets, at the edge of the network, on the sensors themselves. Compology provides image-based container monitoring that's built for waste. Why Compology is a Top Internet of Things Innovator: Their camera-based sensors and web dashboard track the locations of containers as well as their fullness, allowing waste haulers to operate more efficiently. It's also an excellent way to improve overall customer service, making it easier for customers to schedule and confirm pickups with simple scheduling tools. KeepTruckin's electronic logging device (ELD) is a top-rated solution that both drivers and their managers trust. Why KeepTruckin is a Top Internet of Things Innovator: Approved by DOT, the KeepTruckin ELD is easy to use and compatible with Android and iOS. With real-time location reporting, this technology helps reduce overall maintenance cost, streamline IFTA fuel tax reporting, and more. The Stir Kinetic Desk is a technology-enabled standing desk like no other. Founder and CEO JP Labrosse is the designer of the Stir Kinetic Desk and previously co-founded the solar tracking company RayTracking, Inc.
Why Stir is a Top Internet of Things Innovator: It features an inlaid touchscreen control that you can use to adjust the desk's height effortlessly, and it can even remind you when it's time to stand up with its Whisperbreath Reminders. 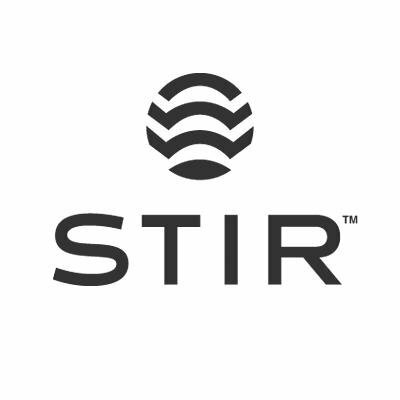 Companies can also collect valuable data from Stir Analytics, which can reveal calories burned, desk occupancy, and more. 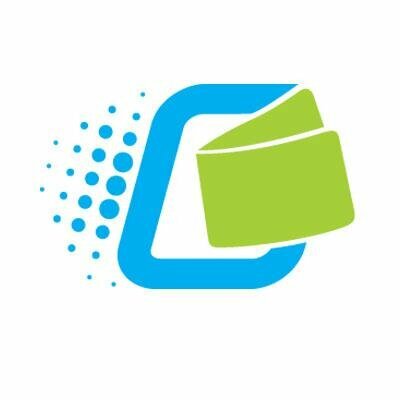 CrateDB lets businesses put their machine data to good use with real-time SQL that offers simple scaling and millions of inserts per second. Why Crate.io is a Top Internet of Things Innovator: The data it collects can, for example, help to visualize, track, and predict the performance of IoT devices and sensors. It's always on, with automatic data replication and self-healing clusters adding up to high availability. 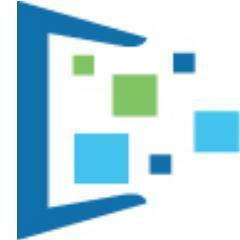 PayRange enables vending machines, arcade games, and other machines to accept mobile payments. Why PayRange is a Top Internet of Things Innovator: It's simple to use: just download the app and you'll never have to dig for change to pay a machine again. It's a secure solution, too; your card details are never sent to the machine, and it's a snap to top up the funds in your wallet. Initial State is an analytics platform time series data that enables users to stream data from their devices and applications straight to their web browser. Why Initial State is a Top Internet of Things Innovator: It works with anything that can make an HTTPS request, including sensors, software, and files, and allows you to securely send or upload data on any device. Then, you can create beautiful visualizations of it, including dashboards, waveforms, charts - even emojis. Propel offers modern, cloud-based product lifecycle management software that's built to drive innovation. Founder and CEO Ray Hein has 20+ years of experience in PLM, and has held executive management positions at companies including Agile Software and Vendavo. Why Propel is a Top Internet of Things Innovator: It's highly configurable and easy to learn, which means just about anyone can use it to help their business drive customer engagement through a product's lifecycle. Their solution allows you to manage all of the product information that matters to your customers, keeping you in sync with your team on the latest product designs, prices, and more. Muzzley offers two key services: one that lets individuals easily get their smart home devices up and running, and another for businesses that enables them to monetize IoT. Why Muzzley is a Top Internet of Things Innovator: Muzzley for business can understand consumer behaviors and profile their real-world routines, features automation and device control, and is compatible with over 200 IoT devices. The Muzzley smart home app, meanwhile, makes it a breeze to have all of your smart home products working together and accessible from one place. Samsara's internet-connected sensors for both shipping vehicles and industrial applications are making it easier to capture data from the physical world. Founder and CEO Sanjit Biswas previously held positions at Cisco and Meraki alongside founder and CTO John Bicket. Why Samsara is a Top Internet of Things Innovator: Their Vehicle IoT Gateway ELD device is 4G LTE-enabled and offers real-time GPS tracking and a built-in Wi-Fi hotspot. Their wireless sensors for industry, meanwhile, are easy to deploy and can capture hundreds of metrics to bring more visibility to your operation. IOTAS creates smart home solutions for renters, partnering directly with property managers, landlords, and ownership groups to bring great smart home features to communities. Why IOTAS is a Top Internet of Things Innovator: Their system notes users' daily patterns and supports them, giving residents a whole new level of home customization. Smart switches, door and window sensors, smart thermostats, and even Amazon Echo integrations are all standard with IOTAS. Falkonry provides industrial predictive analytics, discovering invisible patterns and recognizing conditions from existing operational data. Why Falkonry is a Top Internet of Things Innovator: Their software system makes deploying machine learning easy and accessible for practitioners in any industry, using a multitude of techniques for both unsupervised and semi-supervised learning. As time series data is collected and Falkonry learns, users can use its early warnings to improve everything from throughput to quality to overall safety. Lucid provides building management and energy solutions that make it easier and quicker to turn building operations data into performance improvements. CEO Will Coleman is an investor and entrepreneur with over 10 years of experience in the building technology industry, while co-founder and President Vladi Shunturov has driven the evolution of Lucid as a company since its creation in 2004. Why Lucid is a Top Internet of Things Innovator: Their platform provides full insight into building performance, with a range of visualizations, automated compliance reporting, and utility bill collection for analysis all available. These tools can help your building save money, improve overall sustainability, and even increase workplace productivity. Vesper creates reliable, advanced MEMS microphones for voice-powered devices. CEO Matt Crowley was previously a founder and Vice President at MEMS device company Sand 9, while co-founders Bobby Littrell, CTO, and Karl Grosh, CSO, are both recognized thought leaders and researchers in MEMS technology. Why Vesper is a Top Internet of Things Innovator: Their technology can match arrays of any size, allows for far-field voice control, and even features ""audio zoom"" to capture life's big moments with clarity. Their VM1000 microphone is also waterproof, dustproof, and particle-resistant, making it one of the hardiest mics available. Lattis has created the Ellipse smart bike lock, which is a keyless bike security solution that can warn users of theft as it's attempted. Why Lattis is a Top Internet of Things Innovator: It works by connecting to your phone, from which you can unlock, receive alerts, and access Lattis' bike sharing solution. Their bike share solution is secure and flexible, with smarter fleet management and a cost up to ten times lower than their competitors'. Aquicore's building smart asset monitoring system allows commercial property managers to manage their entire portfolio in one place. Why Aquicore is a Top Internet of Things Innovator: Their top-notch software, in combination with advanced metering and submetering, can save money, improve building operations, and increase overall asset value. With clean, easy-to-read dashboards that feature customizable widgets, you can track each building's key energy metrics anytime, anywhere. Ecovent Systems provides a digital climate control solution that lets their customers get the perfect temperature in every room of their home and save up to 15% on energy costs. Co-founder and CTO Nick Lancaster brings 9 years of experience in architecture development and mechanical engineering design and testing to Ecovent, while CEO William Bubenicek is an entrepreneur who has founded a number of companies and has experience at every level of management. Why Ecovent Systems is a Top Internet of Things Innovator: It's a snap to install, with each room taking only 15 minutes and a single screwdriver to set up. Room-based digital climate control can not only save you money and make you more comfortable in your home, but it can also help you sleep better and stay healthier. ROCKI lets you play your Spotify music from any speaker, wirelessly, using your phone as a remote control. 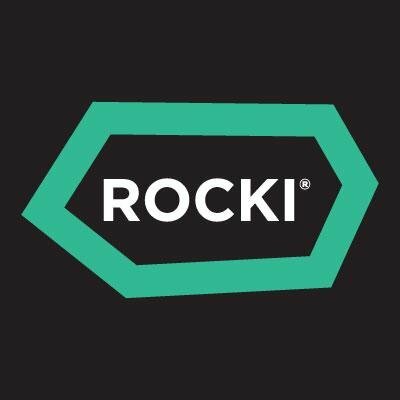 Why ROCKI is a Top Internet of Things Innovator: Just plug it into your speaker, connect your phone to it, and start streaming. It uses a Wi-Fi signal to play music, which means not only higher audio fidelity than Blu-Ray, but also a much larger range. Why WattTime is a Top Internet of Things Innovator: It works by combining real-time data from power grid operators and the EPA to detect when clean power is available. From there, a simple software update allows users to reduce their carbon footprint and help clean and renewable power sources compete on the grid. Verdigris is a smart building management solution that tells managers how much energy their buildings are consuming and where they can save. Why Verdigris is a Top Internet of Things Innovator: It aims to provide superior data that empowers smarter decision-making, and can even forecast your energy needs and automate your demand response to save even more money. It works using a series of IoT smart sensors that simply clamp onto electrical circuits, and is easily installed in as little as 30 minutes by an electrician. EEme delivers appliance-level energy insights for buildings, using machine learning to generate actionable data. Why EEme is a Top Internet of Things Innovator: Their solution requires no hardware or user input, instead relying on existing smart meter data to create its insights. It supports use cases across the utility industry, including program design, targeting, implementation, and much more. Pubinno makes smart beer dispensers that use AI to pour the perfect pint every time. Why Pubinno is a Top Internet of Things Innovator: Using their cloud platform and mobile app, bars can track sales and operational metrics to eliminate waste and save up to 20% of each keg. Brands, too, benefit from Pubinno's smart solution with real-time sales, inventory, and quality data. Pubinno’s smart taps serve perfect beer for every glass and minimize waste thanks to its patent pending robotics and AI powered smart flow technology. 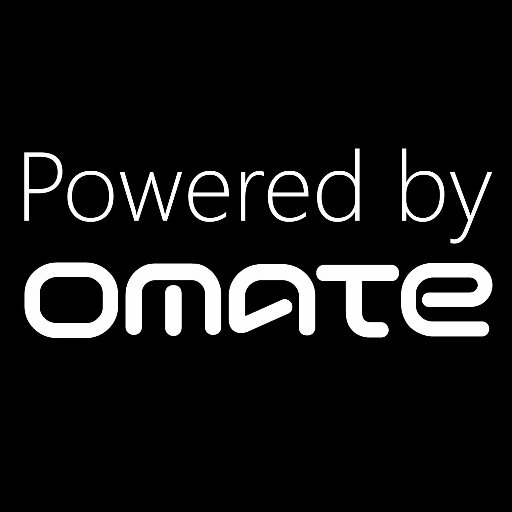 Omate makes wearable and IoT solutions for people who value protection and security. Why Omate is a Top Internet of Things Innovator: Their products targeting kids, seniors and enterprises. For instance, their K3 device is the first Android-powered wearable built for kids, and features voice calling and a smart locator so parents will always know where their child is. 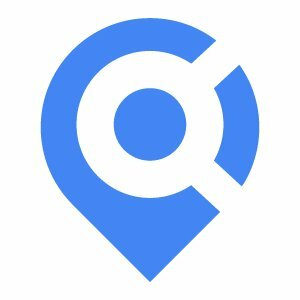 Locbit is an IoT automation platform for business that connects all devices in one building to make data more accessible and useful. Why Locbit is a Top Internet of Things Innovator: It launches in just three simple steps: connect your devices, analyze the data Locbit provides, and automate your business for huge efficiency gains. Users can expect to save on energy costs as well as see increased productivity and improved risk management. FUSAR is creating technology for people in motion with their community-driven platform for connected cameras, communications, and safety solutions. 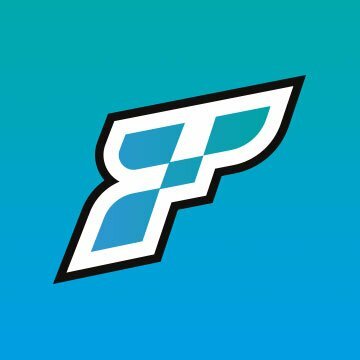 Why FUSAR is a Top Internet of Things Innovator: Their system lets users capture action sports photos and videos as never before, controlling it all with their handlebars. It also comes equipped with a Bluetooth audio system that enables hands-free communication at any distance. 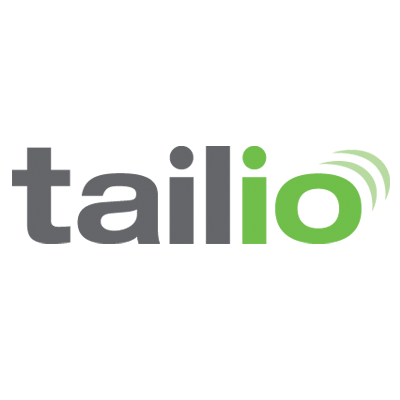 Tailio is a smart health monitor for cats that tracks your cat's weight, daily litter box visits, waste output, and litter box habits, helping you spot health problems before it's too late. Great for cats with kidney disease (CKD), feline lower urinary tract disease (FLUTD): cystitis, UTI, urethral blockage; diabetes, hyperthyroidism, fatty liver, and for tracking efficiency of a weight loss diet. Why Pet Wireless is a Top Internet of Things Innovator: It works by turning the litterbox itself into a health monitoring station and providing owners with alerts and information. It's an invisible solution that won't disrupt your cat's life or well-being, and can be used to monitor multiple cats at once. A new form of interactive entertainment, Earplay is part casual game, part interactive audiobook. CEO John Myers is a playwright and screenwriter who has since moved on to becoming a narrative designer and writer of interactive entertainment, and he loves experimenting with new technologies. 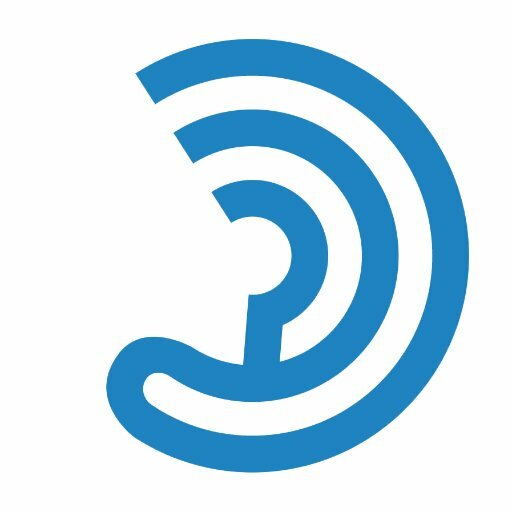 Why Earplay is a Top Internet of Things Innovator: With high-quality voice acting, audio effects, and music, Earplay crafts engaging stories that you play with your voice, whether on the go or in your connected home. You get to play a character in their interactive radio plays, making for an all-new way to experience exciting stories. 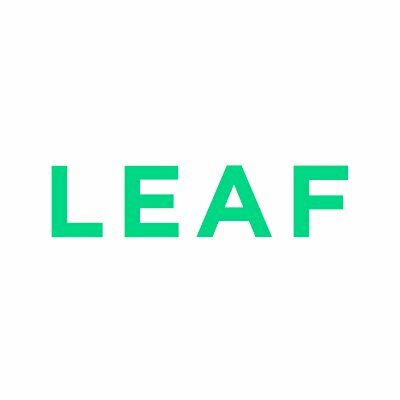 Leaf is an automatic home growing system that makes growing your own medical plants, herbs, and food easier than ever before. Why Leaf is a Top Internet of Things Innovator: Leaf is a small growing container that features smartphone-controlled temperature and humidity, automatic nutrient dosing, and a carbon filter that prevents odors from seeping out. Their mobile app also features easy, step-by-step video tutorials so you'll know exactly how to raise your plants. 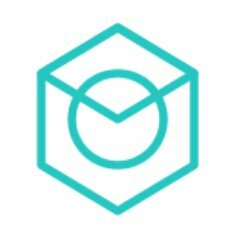 Tive is reimagining supply-chain visibility, giving businesses awareness and analysis of in-transit goods from the moment they're sent to when they arrive, using high-tech sensors. Co-founder and CEO Krenar Komoni has 12 years of experience in the wireless and RF industry, while co-founder and CRO Rob Stevens has more than 20 years of sales, marketing, and business development experience. Why Tive is a Top Internet of Things Innovator: Their low-power sensor ensures that you can always keep track of a shipment's location, climate, and integrity, which will lead to fewer operational disruptions and higher customer satisfaction. With worldwide cell coverage and a cloud-based dashboard, users can access Tive's valuable insights anywhere, anytime, no matter where their shipments are. 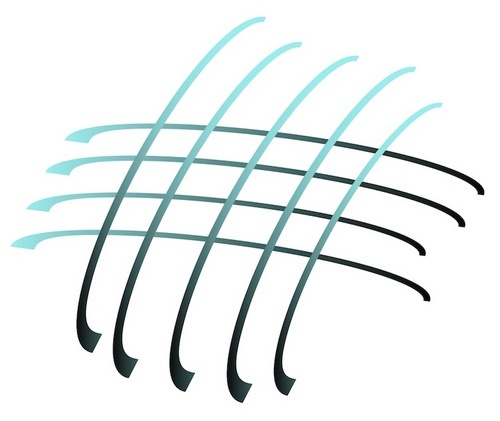 Wovyn creates wired and wireless sensors, software integration solutions, and other products that are built to bring together the Internet of Things. Why Wovyn is a Top Internet of Things Innovator: Their wide range of off-the-shelf IoT sensors can be used for almost any business application, with the ability to measure temperature, humidity, light level, range, distance, voltage, and much more. Their IoT expertise can also be put to use in your company to help create your own custom IoT product or service. Personal Comfort Systems' Hyperchair is built to provide all of your company's employees with the perfect temperature for their comfort. Founder and CEO Peter Rumsey is a designer of low- and zero-energy buildings, and the designer of the world's first zero net energy office. Why Personal Comfort Systems is a Top Internet of Things Innovator: Their chairs use Bluetooth and Wi-Fi connectivity to give users the ability to control each chair's internal heating and cooling functions. When employees are comfortable, their happiness and productivity rise, and Hyperchair is built to keep everyone comfortable and working hard. Minut is a startup that's leading the way with a new, camera-free approach to home security. Why Minut is a Top Internet of Things Innovator: Their solution, Point, combines safety with privacy, using monitors that analyze sound and your home's environment to determine if anything is wrong. It can recognize alarms, the sound of breaking glass, or unusual activity while you're away, and alert you immediately to any trouble. Raybaby is the world's first noncontact smart baby monitor that lets parents track their child's sleep and breathing from a distance. Why Raybaby is a Top Internet of Things Innovator: If your baby is breathing hard or showing any other symptoms of fever, you'll receive an automated alert so you know immediately. Outfitted with a highly sensitive microphone, Raybaby doesn't need to be in contact with your child at all, so it will never need updating or replacing as your child grows, and there's no need to place lithium ion-powered devices on your baby's skin. Insticator makes it a snap to add engaging quizzes, polls, and other interactive elements to your content while serving ads. Why Insticator is a Top Internet of Things Innovator: With a simple widget, you can add content to your website that visitors will love engaging with, and each of their clicks will serve up a new ad that generates revenue for you. You can even use the Insticator dashboard to track how much revenue the widget has generated for your business. Nectar is a pourer and stopper for liquor bottles that uses ultrasound technology to help bars automate their inventory and reduce shrinkage. CO-founder and CEO Aayush Phumbhra has more than a decades' worth of entrepreneurial experience and previously founded the textbook buying service Chugg, while co-founder and COO Prabhanjan Gurumohan, PHD, is likewise an entrepreneur, having previously co-founded and served as CEO of Genwi. Why Nectar is a Top Internet of Things Innovator: It sensors keep track of par levels of any size, ensuring that your bar will never again run out of your customers' favorite brands. It can also tell you which brands aren't selling, and even automatically order when your supply is low. 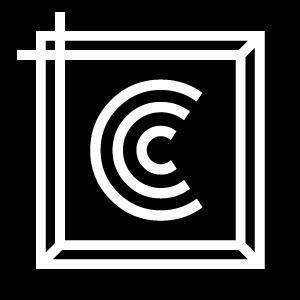 Cuseum is a visitor engagement platform for museums that powers mobile apps and membership programs. Why Cuseum is a Top Internet of Things Innovator: They provide the platform and the expertise, and you supply the content that will surprise and delight your visitors. It's simple to implement, and features location tracking so visitors can see related content, including video, at various points in their museum journey. Carlson Wireless Technologies has created RuralConnect, which uses UHF TV channels to bring broadband data to remote areas. Founder and CEO Jim Carlson is an entrepreneur in the fixed wireless industry, having spent over 20 years developing and building wireless telecommunications systems. Why Carlson Wireless Technologies is a Top Internet of Things Innovator: RuralConnect can bring customers online connectivity outside of its line of sight at a lower cost than available wireline or wireless solutions. In addition to bringing internet connectivity to underserved communities, they offer radio products for high-capacity data and voice delivery. LogMeIn builds products that make it easier for people to interact with the world around them and build meaningful relationships. 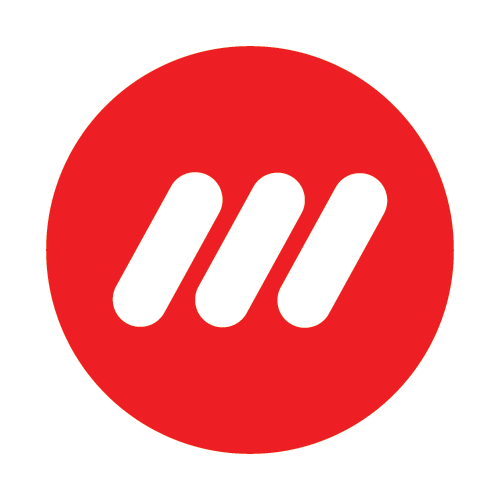 President and CEO William Wagner first joined LogMeIn in 2013 as COO, and was previously COO at the cloud-marketing software company Vocus. Why LogMeIn is a Top Internet of Things Innovator: They offer a range of enterprise-grade solutions for communication, collaboration, security, and customer engagement and support. Products like Grasshopper enable business owners to run their entire business from their phone, so they can maintain their presence no matter where they are. Leave a comment about Best Internet of Things: Top Industry Experts? Share on Facebook "Best Internet of Things"